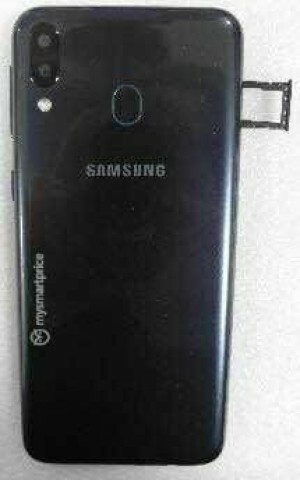 Samsung’s upcoming mid-range phone, the Galaxy M20, has been leaking like crazy for the past month and today’s photo is here only to confirm what we know so far – a metal design, rear-mounted fingerprint reader and two cameras. There was a leaked photo of the back panel back in mid-December which looks identical to the photo we got here. According to previous rumors, the cameras on the back will be 13MP + 5MP. However, the key selling point will be the humongous 5,000 mAh battery. We will know all about the Galaxy M20 next week, when it’s officially launching.